BoxCycle - Narrow Box - 18-23"
Details: Narrow shipping box with longest side of 18-23". Volume will vary based on dimensions. 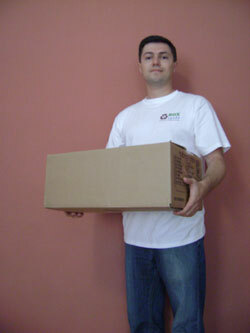 Narrow boxes have a large difference between shortest and longest sides. Perfect for electronics, clothing, frames, mirrors, and spools of wire. Photo is not of the actual item.